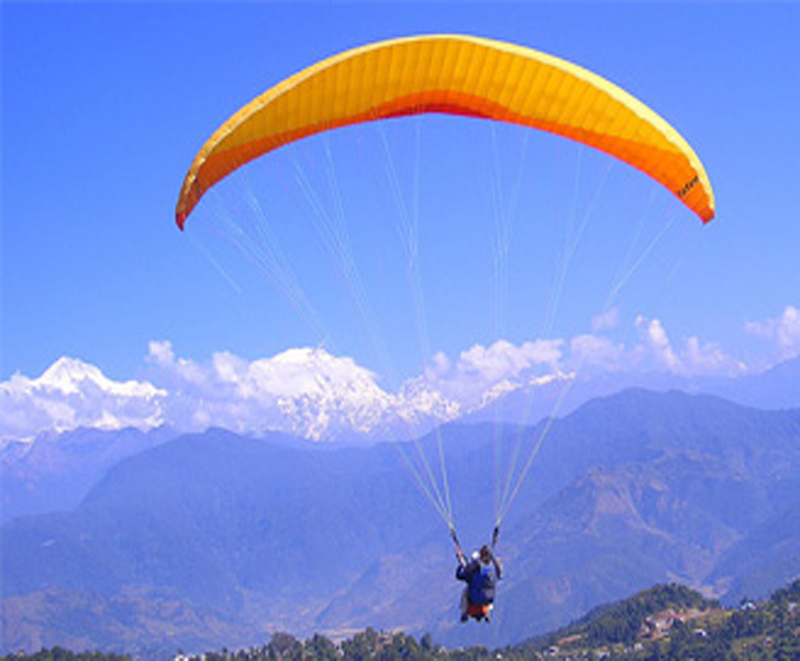 We offer best Paragliding in Pokhara. 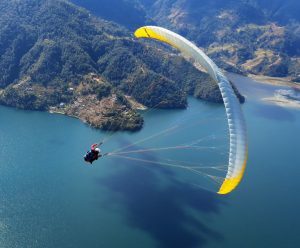 Know to about Paragliding in Pokhara. Finished trekking and looking for something to do in Pokhara? Pokhara is one of the top 5 commercial tandem paragliding locations in the world, with all the right ingredients: stable thermals, convenient take-off and landing zones, the safety of a large lake and incredible mountain views. Paragliding might not be in everyone’s budget. That being said, if it’s something you want to try at some point in your life, Pokhara is the perfect place to do it. Looking back, most likely you won’t regret it. 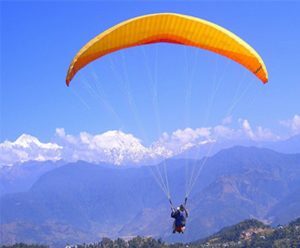 There is several paragliding companies operating commercial tandem flights in Pokhara, and there seems to be a fixed price (which includes transport and insurance) no matter which one you choose. 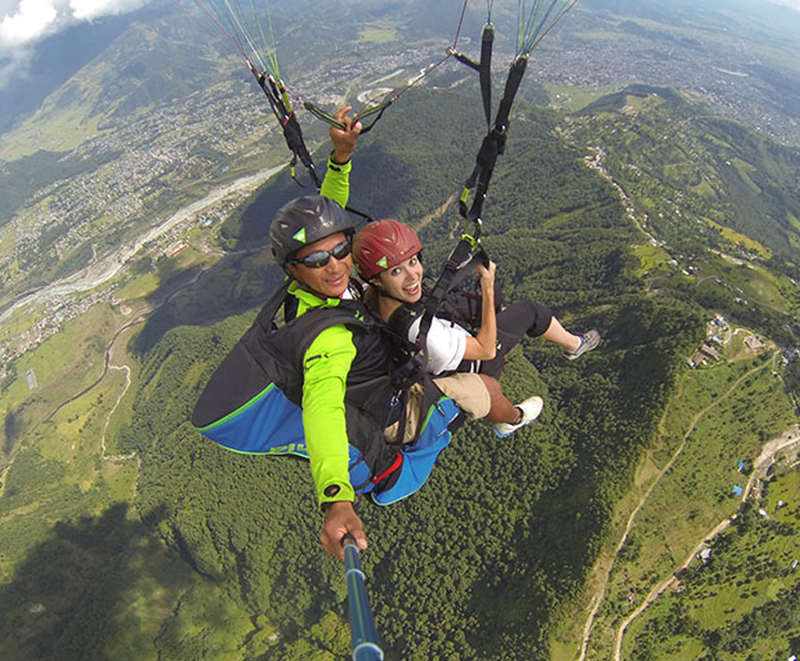 Generally, it’s safer to go paragliding in Pokhara than it is to cross a busy intersection in Lakeside. There are more than 250 flights a day during peak-season. You have a reserve chute and a large lake for safety. However, it is an extreme adventure sport. Make sure the company you choose has insurance coverage; some might say they have it even if they don’t. Best is to go with a reputable company. More than 100 Nepali paragliding pilots in Nepal, holds a Nepalese paragliding license. Pilots are, however, internationally certified, which means international paragliding schools, like FAI, APPI and BHPA, have come to Pokhara to run 15-day pilot training programs . Upon completion, pilots are certified to fly anywhere in the world on their own. 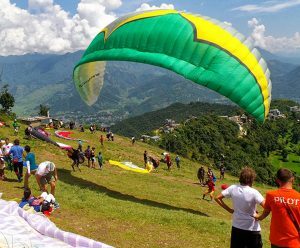 The standard paragliding flight takes off from Sarangkot (30 min. by jeep from Pokhara), floats above Sarangkot for a while, then heads over Pokhara before performing spiralling acrobatics (optional) on descent to Phewa Tal next to Lakeside. Paragliding companies offer several flights a day, 7 days a week: starting from 9:00 AM to till evening. For best conditions, the suns need to have been out long enough to heat the earth and create the thermals necessary for lift. The early morning flights tends to be a bit less than 30 minutes as the thermals haven’t developed yet. If you’re looking for a clam, less turbulent flight, this is the best time. By 11:30 AM, the thermals have become active and the best conditions for paragliding are in place. This is the best time to fly. 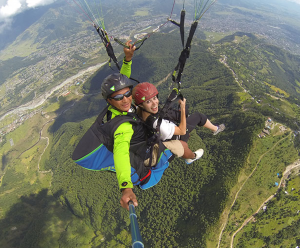 You can go paragliding in Pokhara year-round as long as it’s not raining and the thermals are active. The peak season for bookings matches the normal tourist season in Nepal – September/October/November and February/March. The fall months are the clearest where thermals develop quickly with easy, high flying of up to 3000 m.
You should book a flight at least 1 day in advance so companies can plan ahead. To confirm your booking, please contact us. You can book by phone, email or in person a day before your flight.